Edmonton’s more than 60 leisure and recreation facilities attract over 5.5 million visitors each year. These community hubs connect residents of all ages and backgrounds to their communities, and offer memorable, inclusive and accessible experiences for learning, health and enjoyment. Investment in these facilities reflects City Council’s commitment to ensuring Edmonton is a vibrant, safe city that is welcoming to all and offers residents a high quality of life. The Terwillegar Community Recreation Centre opened in January 2011, and has already attracted more than 854,000 visitors. With an aquatics centre, fitness facility and running track, four ice surfaces, a children’s play space and space for programming and community activities, the $160 million project encourages physical activity and social interaction. The site integrates a number of facilities, including two high schools, a district park and a transit centre. It is an excellent example of an investment made in response to community needs, and delivered in a way that is already recovering operating costs due to the popularity of the programming and other opportunities. The Muttart Conservatory reopened in 2009 after extensive renovations, including increased classroom space for educational programming, a revamped café and gift shop and a new outdoor courtyard. The Tropical, Arid and Temperate Pyramids were also enhanced as part of the $6.3 million project. The Queen Elizabeth Outdoor Pool opened in 2011. Located in Kinsmen Park in the heart of Edmonton’s river valley, the $7 million facility includes six-lane pool, zero-depth entry, sun deck and spray park. The pool has proven to be a fun and popular spot for Edmontonians to cool off on a hot summer day. The John Janzen Nature Centre reopened in 2011 following upgrades, including the new Tegler Discovery Zone interactive play area and a green roof. St. Francis Xavier Sports Centre opened in 2010 in partnership with Edmonton Catholic Schools. Upgrades at four arenas: Bill Hunter (2010), Callingwood (2010), Mill Woods (2009) and Confederation (2011). 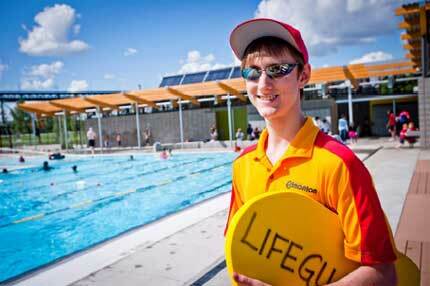 Fred Broadstock Outdoor Pool reopened in 2010 following upgrades. Improvements at Victoria Golf Course Driving Range completed in 2011. Upgrades at four leisure centres: Grand Trunk (2009), Peter Hemingway (2011), O’Leary (2010), Hardisty (2011) with upgrades to Mill Woods planned for completion in 2012. Multi-sport Tournament and Recreation Site (to open in 2012). Artificial turf installed at Jasper Place Bowl and Commonwealth Stadium in 2010, Mill Woods in 2011 and planned for Clareview in 2014. The recreated Capitol Theatre opened at Fort Edmonton Park in 2011. The building is a beautiful recreation of Edmonton’s original Capitol Theatre, circa 1929. During the summer season, the theatre shows the multi-media short film “Northern Light,” which tells the story of Edmonton’s history. During the rest of the year, the theatre will showcase live local theatre productions and be available for other groups interested in booking the facility. Opening in 2012, Arctic Shores will recreate an Arctic shoreline at the Edmonton Valley Zoo. The $16.7 million project will incorporate unique Arctic landscapes, such as the pingo, and include a new aquatic home for the seals and sea lion currently living at the zoo. The new habitat is one of a series of construction projects that is transforming the 52-year old facility. A new otter habitat, education centre and a central trail system called the Wander that will showcase the ecosystems created by the North Saskatchewan River as it winds its way through Alberta are expected to be completed in 2013. 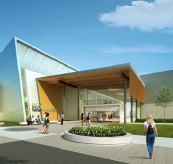 Construction on the Meadows ($119 million including the library and park) and Clareview ($103 million, including library and park) community recreation centres is underway. Both of these new community hubs are scheduled to open in 2014 and integrate a public library, and park into the design. Clareview also includes a multicultural centre and an Edmonton Catholic Schools High School Completion Centre and daycare. The Mill Woods Seniors Centre and Multicultural Facility, to be located above the new Mill Woods Library, is slated to be completed in 2014. A permanent sport park for non-motorized wheeled recreation in Edmonton's southeast is scheduled for completion in 2012 in partnership with the South East Community League Association. A South Edmonton Multicultural Centre in partnership with the Korean Community Centre Foundation is scheduled to open in 2013. Commonwealth Stadium Seat Replacement is scheduled to be completed by 2013.